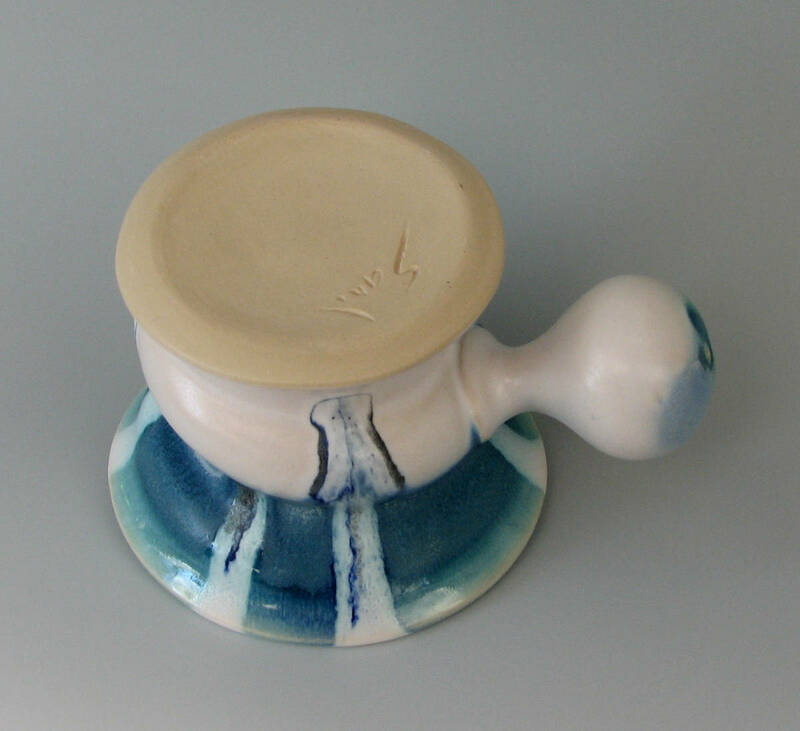 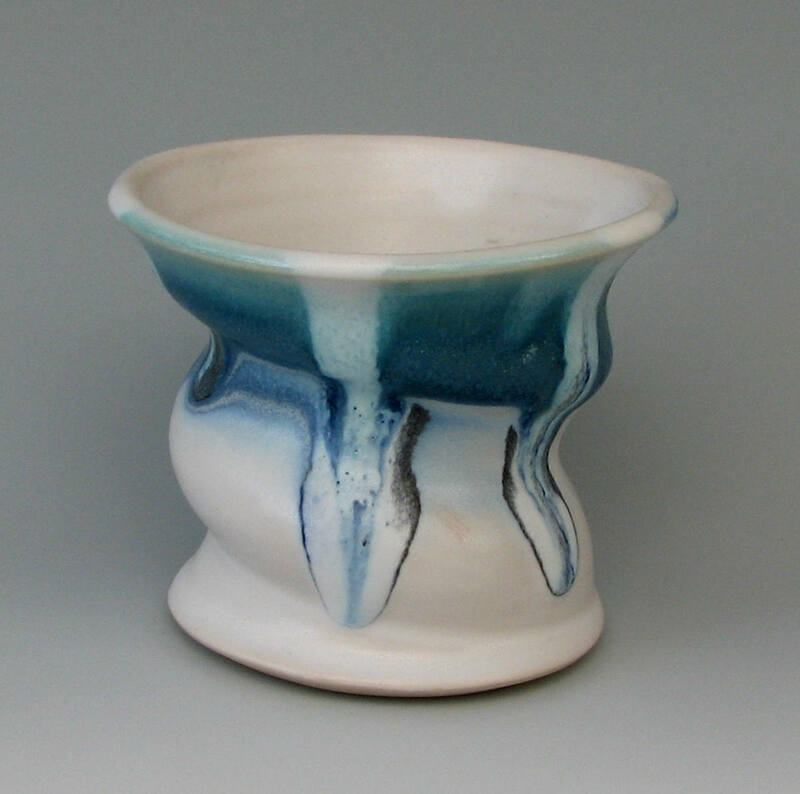 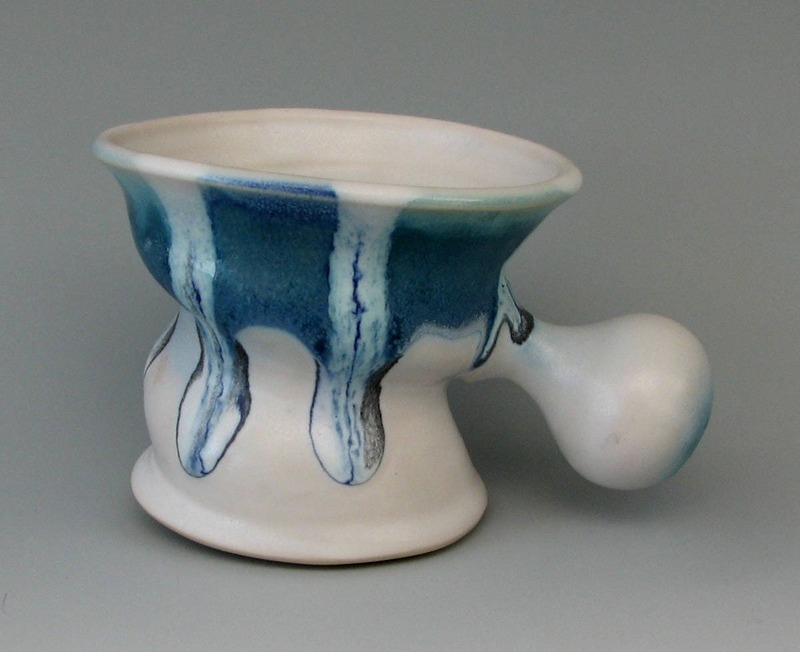 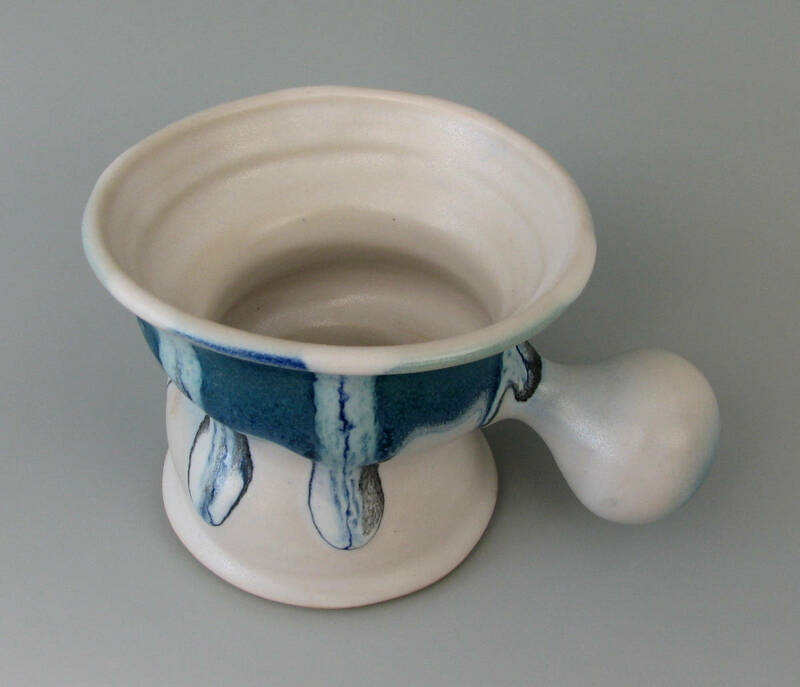 This shaving mug was made of stoneware clay fired to vitrification for strength and durability. 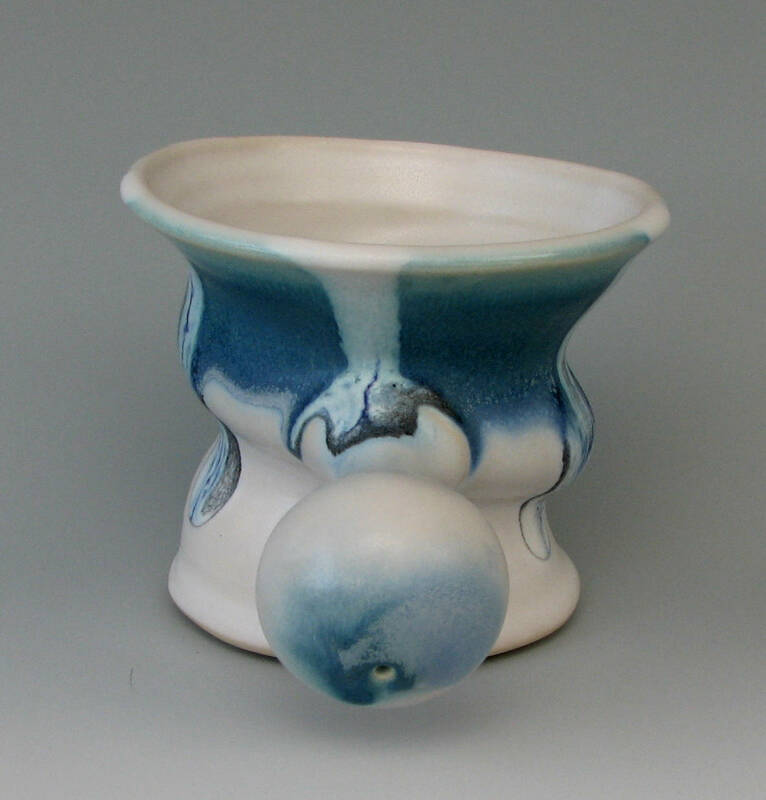 It was fired to 2300 degrees with a long heat soak to allow the glazes on the outside time to run, mingle, pool, and produce colors that are varied, rich and complex. 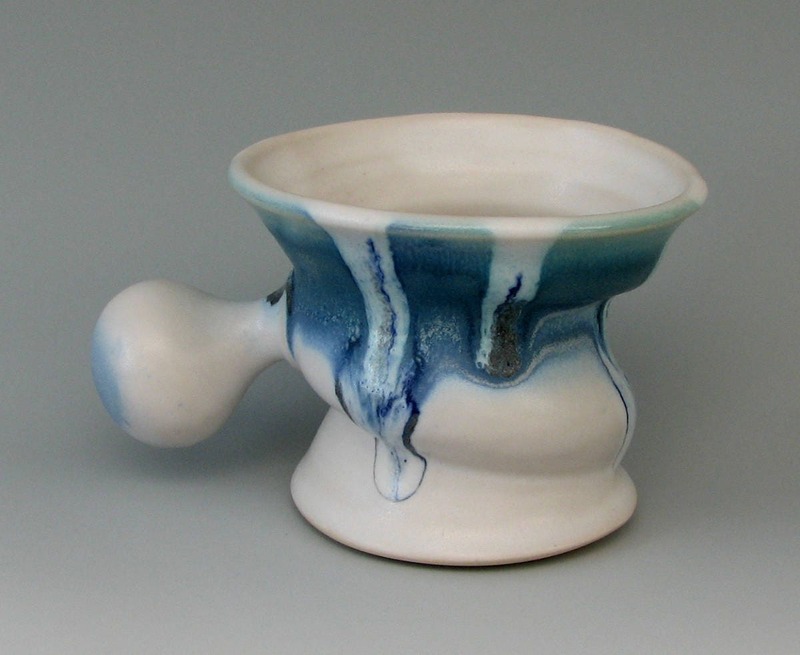 It is very comfortable to hold and big enough for you to whip up lots of lather. 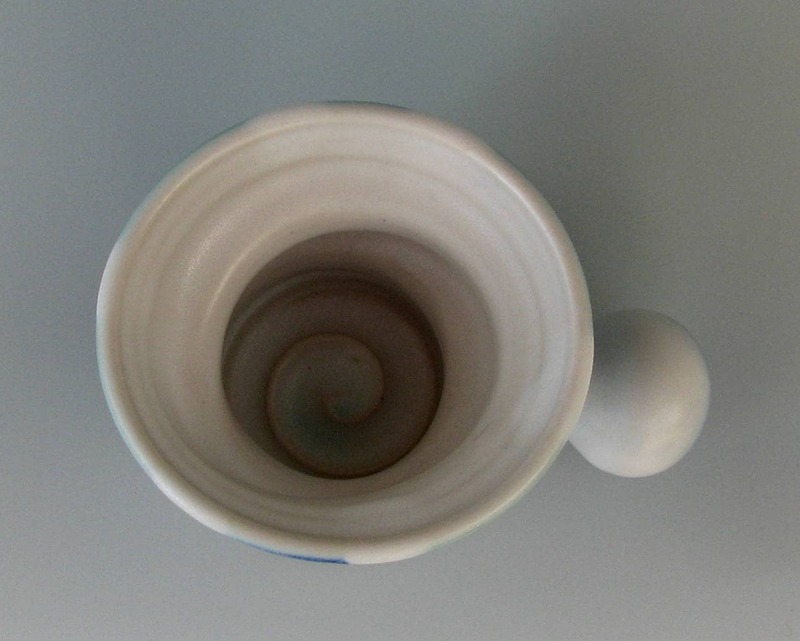 The spiraling shape makes it easier to whip up the lather. 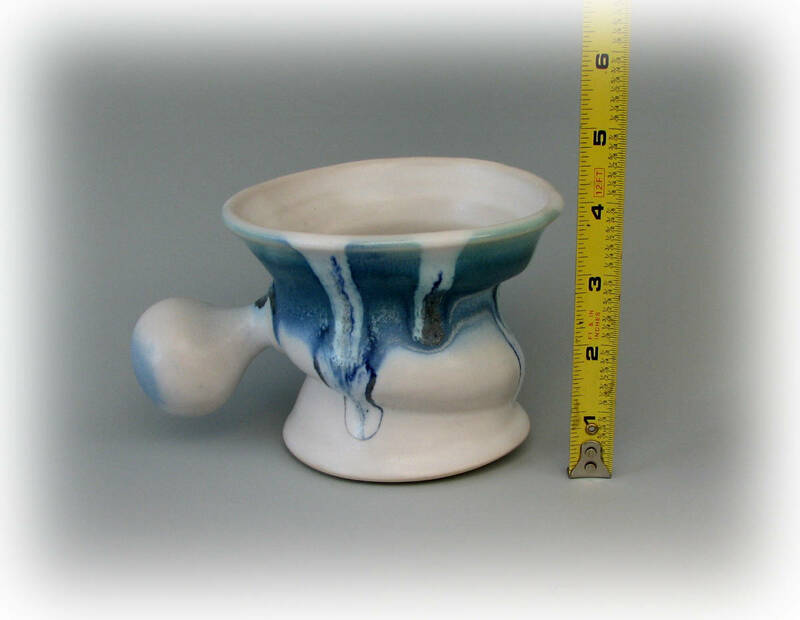 About 4 inches high and about 5 inches in diameter at the top and about 2 3/4 inches in diameter at the bottom. 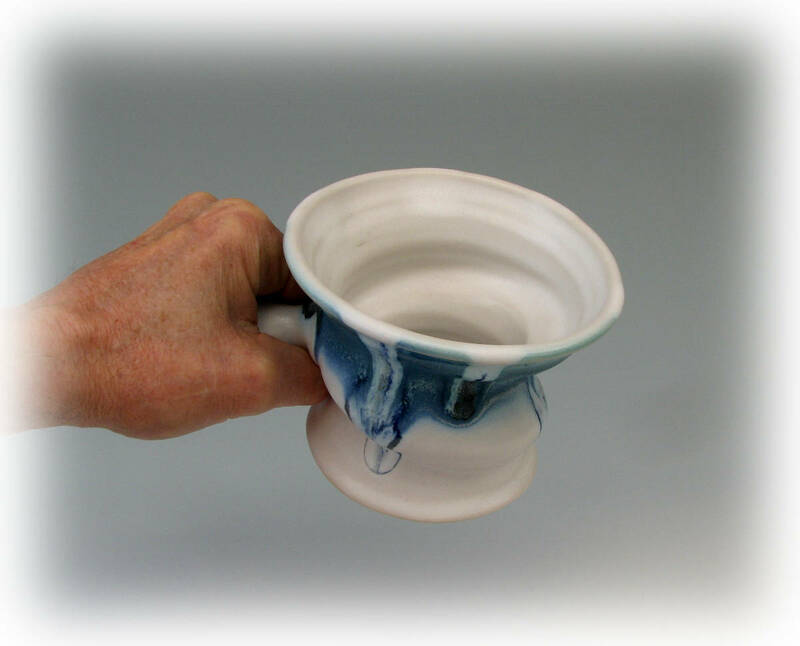 Most shaving soap will fit, but if too big or if you prefer bar soap you can melt it to fit the mug perfectly in the microwave.